Modern spacious seaside villa opposite patrolled surf beach and park wifi included. The Villa has all new quality furnishing, beds, lounges linen etc. Master bedroom has a queen bed with ensuite and walk in robe. Second bedroom has 2 king singles or can be made up as a king bed.Second bathroom has shower and bath with separate toilet. Ceiling fans in bedrooms and reverse cycle air conditioning in open planned living area. There is a separate laundry with dryer or there is an outside washing line. The north facing courtyard has a herb garden and gas BBQ, outdoor setting and outdoor shower shaded with sails to provide the ultimate beach side holiday. If this villa is booked try Seaside Villas B. Both villas can be opened up with an adjoining gate for larger families and friends wanting to holiday together occupying both villas. The Villas have no steps. Discounts for 7 nights applicable. Clean & tidy , perfect position, wlll return . Perfect accommodation for our ladies golf getaway. We occupied both villas with the adjoining gate opened for easy interaction in the gardened bbq courtyards. Both villas were spotlessly clean with comfy beds and quality linen, great kitchen & accessories and the lounge/dining just perfect. The location is superb with an easy walk (2 minutes)to the surf beach, all of the lovely boutiques, restaurants, (TREEO is a must for breakfast, lunch, dinner or all 3, the Kiosk at surf beach for your morning coffee and watching the dolphins is amazing the RSLclub and Hotel, this is what the Sawtell village has to offer. We have already booked for next year. Highly recommend this property! CAN'T WAIT TIL NEXT YEAR thank you Wendy!!!!! This clean and well maintained villa had everything we needed for a beach holiday. Quiet location close to the beach, close to multiple restaurants and the fabulous Sawtell cinema, comfy Q bed, well equipped kitchen, large living area, BBQ, air con (ceiling fan in bedrooms ), free wifi and more. There is off street parking and a nice outdoor shaded living area as well. Wendy looks after everything very well and is easily contactable if needed. Thank you for a great stay at Villa A, and for your kind offer to contact you direct if we can make it up your way in the future. What a great location, and Villa. Hope to come again. Kind regards, Chris and David. The villa is in a great location. During our stay our family occupied both villas and we enjoyed the ease of interacting through the common area. We appreciated that almost everything you could need was provided. The cleanliness and condition of furnishings, linen etc was excellent. We stay at this Sawtell propert every year over the Christmas/New Year period. It has everything we need and is always spotlessly clean. Wendy is most hospitable, available to answer any questions you may have and very open to suggestions about ideas for inclusions etc. 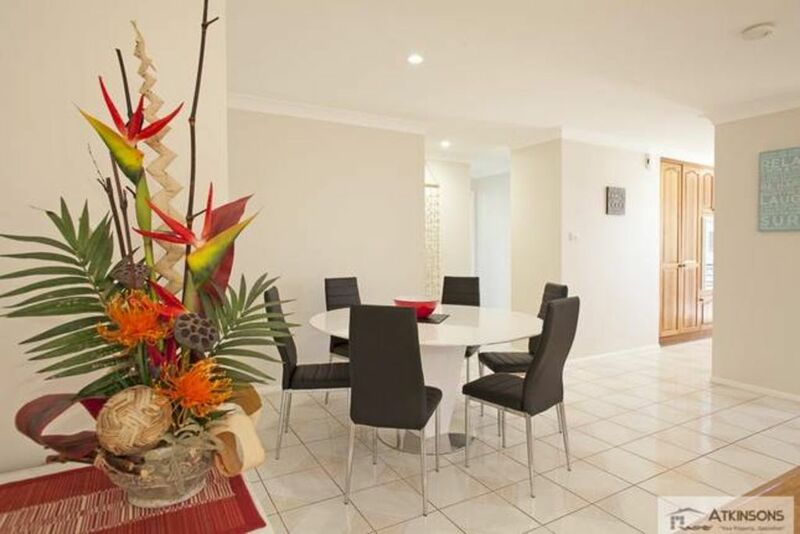 The villa is so convenient as it's a hop, skip and a jump to Sawtell Beach, Rock, Pool and First Ave with it's trendy cafes, restaurants, pub and RSL club. It's a short drive to Toormina shops if you need Woolies, Coles or Aldi (or any other specialty shops). We can highly recommend the property.